Raise your arms up straight as high as you can. Using a slow and controlled movement, raise your foot off the floor while straightening your knee. This reduces the points of stable contact to 1. Maintain a neutral spinal position and don't lean back. 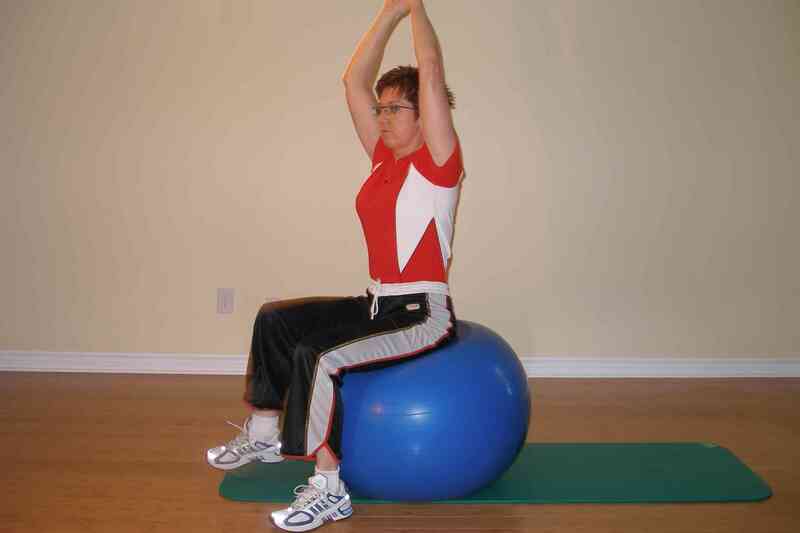 Concentrate more on maintaining transversus abdominus activity, keeping a level pelvis. Start with small movements until your are comfortable. If trying this exercise with your eyes closed be sure to make safety a priority. 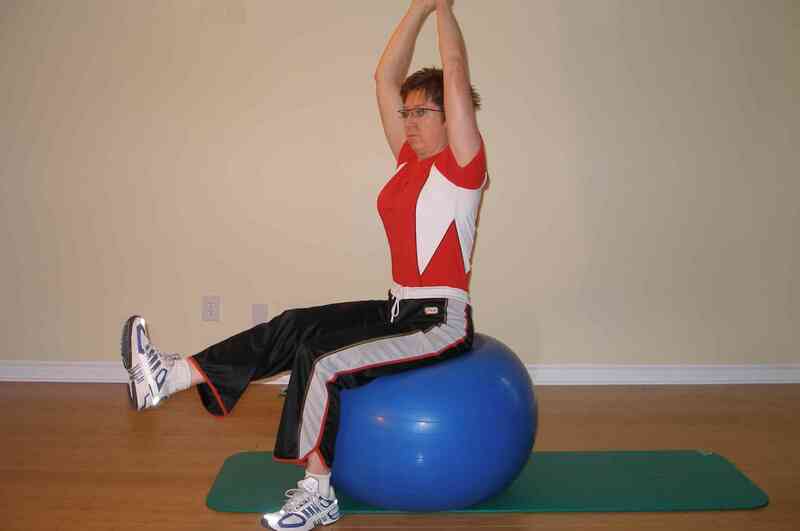 Try Seated Leg Raise (arms up) with your eyes closed for more of a balance and proprioceptive challenge. Hold this position for 5 seconds and repeat 5 times. Hold this position for 10 seconds and repeat 5 times. Hold this position for 10 seconds and repeat 10 times.